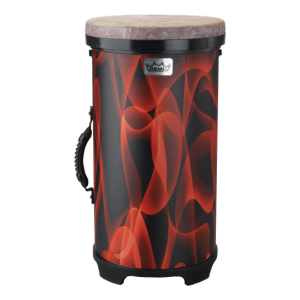 The Bahia Bass Buffalo drums produce a low frequency bass tone that is found in many traditional drums from Africa, Brazil, and the indigenous cultures of the Americas. Manufactured with the vinyl Bahia Bass fixed pre-tuned drumhead and Remo's patented ACOUSTICON drum shells, produce the same tonal characteristic found on traditional wood shell drums with excellent projection and enhanced low-pitched fundamentals. Equipped with a rope handle and mallet, you can play Remo's Bahia Bass Buffalo drum in virtually any weather condition and they will keep their pitch sounding great. I already am the owner of another Remo Buffalo that I take to drum circles and use at home out by our fire pit. With that said I saw this one and the dark color just drew me into it. I thought this would be a good drum with it's deep base sound for my husband to play and it turned out to be perfect! The sound of it is Haunting! Hauntingly Beautiful! 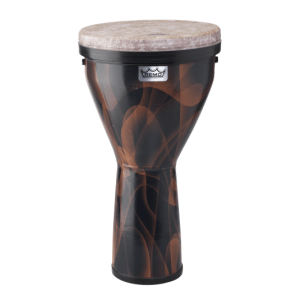 It is the perfect drum to start and finish the drum circle with as it has a very commanding sound. We both love it! I have a couple of custom made shamanic style frame drums with natural rawhide heads. 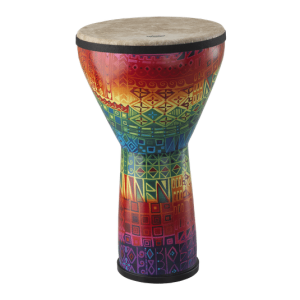 I started my quest to find a drum for drum circles that wouldn't go flat on me in humid and damp weather. With some skepticism I ordered this and have fallen in love with it after it came out of the box. I am VERY impressed with the deep base tones while having a range of harmonics depending on where you play and how you play this. I wasn't even sure if it would carry the drum makers energy, but this morning I turned it over to see that the person who made this drum signed it too. You won't be disappointed by buying this! Drum is well made and has great resonance. Synthetic skin means fewer restrictions from playing conditions (moisture). 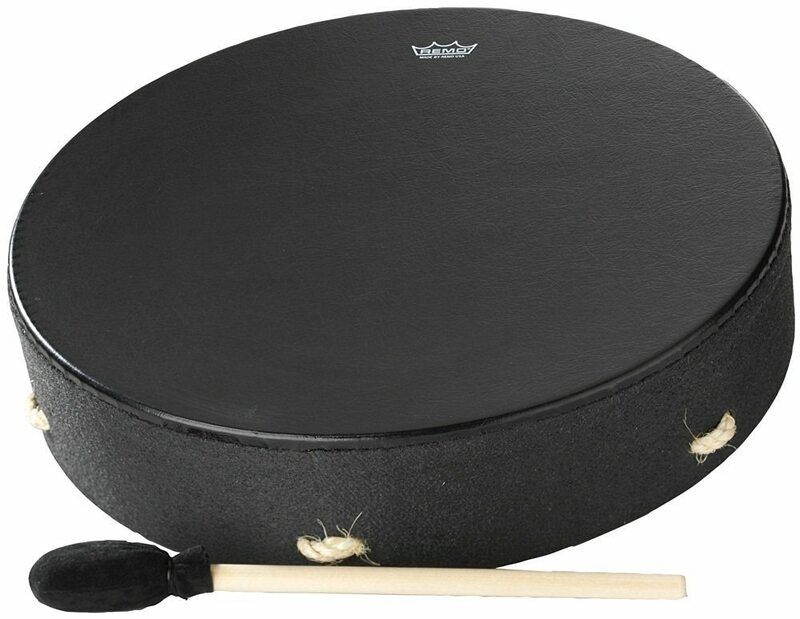 I love this drum because the deeper base sound and black colour sets it apart. yes the drum is all that I hope for. Being native american I had second thoughts about the fake hide drum head. but after playing it I'm sold and all the people that I have showing it to are real pleased with also. Like I said it has a very good Heart Beat to it.